The speaking portion of the event is free & open to the public. Tickets are required for the signing. See below for details. Join us as we welcome one of our favorite authors for young readers, Neal Shusterman, with a moving new story. Challenger Deep is a deeply powerful and personal novel. A captivating story about mental illness that lingers long beyond the last page, the novel features haunting interior illustrations by Neal Shusterman's son Brendan. As a screen and TV writer, Neal has written for the “Goosebumps” and “Animorphs” TV series, and wrote the Disney Channel Original Movie “Pixel Perfect”. Currently Neal is developing an original TV series with his son, Jarrod, and adapting Tesla’s Attic with co-writer Eric Elfman for TV as well. PLEASE READ: The speaking portion of this event is free and open to the public. Tickets are required to join the signing line at this event. Tickets are only available with the purchase of a copy of Challenger Deep from BookPeople. Purchasing a book online automatically assigns you a ticket for the signing. There is no separate "ticket" item to add to your cart. Books & tickets are now available to pre-order. If you cannot make it to the event, you can order a signed copy. Simply add the book to your cart and write "SIGNED COPY" in the comments field. Neal Shusterman is the New York Times bestselling and award-winning author of Bruiser, which was a Cooperative Children’s Book Center (CCBC) choice, a YALSA Popular Paperbacks for Young Adults pick, and was on twelve state lists; The Schwa Was Here; and the UnWind series, among many other books. He lives in California with his four children. Monday, April 20, 5:00 p.m.
Come and meet New York Times bestselling author Neal Shusterman and chat with him about his wonderful books and especially his new book, Challenger Deep, a heartfelt tour de force about mental illness that lingers long beyond the last page. Challenger Deep is a deeply powerful and personal novel from one of today's most admired writers for teens. Laurie Halse Anderson, award-winning author of Speak, calls Challenger Deep "a brilliant journey across the dark sea of the mind; frightening, sensitive, and powerful. Simply extraordinary." With starred reviews from Booklist, Kirkus Review, Publishers Weekly, School Library Journal and Horn Books, this is a book written with love and with humor, with illustrations by the author's son Brendan during his own time in the depths of mental illness. This is a book you should not miss. The bestselling author of the Unwind trilogy and the screenwriter behind The Almanac of the Gross present their sequel to Tesla's Attic and the second book in the Accelerati Trilogy. Now that Nick knows that the strange antiques in his attic bedroom are part of a "free energy" device left by the eccentric inventor Nikola Tesla, he has to prevent a menacing secret society of physicists from stealing the rest of the contraption's missing components. GET YOUR SIGNED COPY OF EDISON'S ALLEY Click "add to cart" below and get your signed copy of Edison's Alley. Each order will also receive signed bookmarks from Shusterman and Elfman (while supplies last). 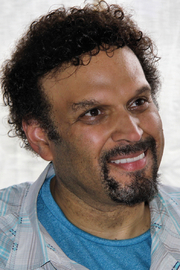 ABOUT THE AUTHORS Neal Shusterman is the author of many critically acclaimed novels for young adults, including the Skinjacker trilogy, Unwind, and Downsiders. He also writes screenplays for motion pictures and television shows. The father of four children, Neal lives in southern California. ERIC ELFMAN is the author of several books for young readers including Almanac of Alien Encounters, Almanac of the Gross, Disgusting, and Totally Repulsive and Very Scary Alamanac. He is also the author of several of the X-Files novelizations. He lives in Los Angeles with his wife and son. Neal Shusterman Eric Elfman Join Southern CA authors Neal Shusterman – the author of many critically acclaimed novels for young adults, including the Skinjacker trilogy, Unwind, and Downsiders; and Eric Elfman – the author of several books for young readers, and co-authors of Tesla’s Attic at MG’s afternoon middle grade event. Fourteen-year-old Nick has learned that the strange antiques in his attic bedroom were left there by the eccentric inventor Nikola Tesla. They are pieces of Tesla's Far Range Energy Emitter, capable of transmitting "free energy" to the globe. Some components of the contraption are still missing, but the objects themselves seem to be leading Nick and his friends to their current owners. However, members of the Accelerati, a menacing secret society of physicists, are on the hunt too, and their brazen leader, Dr. Alan Jorgenson, will stop at nothing to foil Nick and steal the objects. ﻿Calling all tweens! Join us for free grub from Clockwork Pizza as we discuss the first installment of Neal Shusterman's Accelerati Trilogy. Fourteen-year-old Nick's family has just moved from Florida to Colorado after a fire that claimed the life of his mother. He discovers that the attic of his new house is filled with odd contraptions, and he hosts a yard sale in which dozens of people buy nearly everything, just before a mysterious government group shows up and attempts to claim it. Nick and his new friends Mitch, Vince, and Caitlin figure out that their devices can do much more than expected, like record people's thoughts and display the future, as well as that the items were built by Tesla and part of a war between two secret societies. CLUB READ BADGE MEMBERS: Get 3 bonus points for attending, and 1 point when you purchase Tesla's Attic. Neal Shusterman is currently considered a "single author." If one or more works are by a distinct, homonymous authors, go ahead and split the author. Neal Shusterman is composed of 4 names. You can examine and separate out names.